Last week, Rochester welcomed jazz musicians from around the world for the 12th annual Xerox Rochester International Jazz Festival. SD and I always love being a part of the crowd at festivals like this - downtown comes alive with good food, good music, and people of all ages. The Jazz Fest offers a variety of shows - some free, some $20, and a few headliners at $55-$125 per ticket. We're usually more than content with the shows on the various free stages set up in the streets and we made a plan to visit Gibbs Street (pictured above) for the opening night festivities. Friday afternoon, I received an email saying an anonymous donor had donated XRIJF club passes for a select group of Eastman students! So began our exciting night as club pass enthusiasts. We hopped in and out of several of the $20 shows (Prime Time Brass, Bill Dobbins, Phil Robson Trio, and Patricia Barber, to name a few), pausing long enough to hear snippets of the groups on the free stages and sample of few food truck wares. Halfway through the night, we stopped in the middle of Gibbs Street to review the evening's line-up in the program book. A young couple approached us and asked if we wanted free VIP tickets to Friday's headline show, Pink Martini. The show was halfway over at this point but we gratefully accepted and eagerly made our way to the crowded hall. It was AMAZING. We heard the last seven or so songs, spanning a variety of genres and styles, pinching ourselves to make sure it was real. We found the couple after the show and thanked them again for giving us the opportunity to attend such a great show! We walked around a little while longer, happy and overwhelmed with gratitude before heading home for the night. We spent the week in North Carolina (more on our trip soon!) 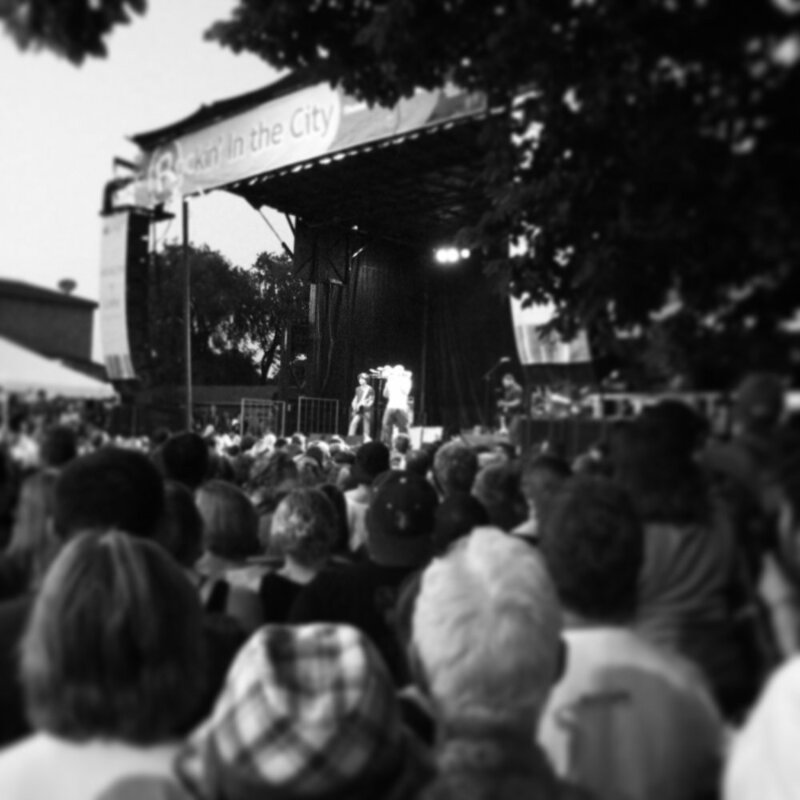 but we made it back to Rochester in time for the last night of the Jazz Fest. After we finished unpacking, we walked down to one of the free stages to hear Trombone Shorty. The crowd was ridiculous - around 30,000 people - it was so awesome to see so many come out for an event like this! The show was great - mostly pop/funk rather than the jazz side of things I know he's sort of known for but we really enjoyed hearing him live and being part of such an exciting finale to this year's Jazz Fest! We are already looking forward to next year! Older PostOff to the Lake!